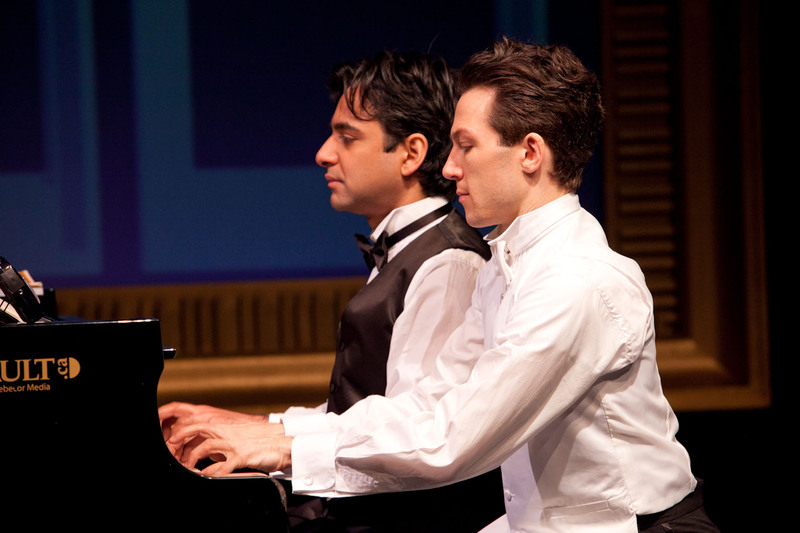 2 Pianos 4 Hands (directed by Richard Greenblatt) follows the growth of two friends who want to become professional pianists. From childhood to adulthood, we see them come to terms with the limitations of their talent and their passion. 2 Pianos 4 Hands reminded me a lot of a Broadway play, not just in the integration of music and theatre, but in the absolute, squeaky clean, technical perfection of the play. No moment went on a beat too long, no emotion fell out of place, not once was the mood broken. The tension and energy onstage was perfect, and at no point did I start to wonder if it was nearly over. Even the intermission was dealt with gracefully – there was no messy false climax and no trouble getting the momentum back. The acting, too, was flawless. 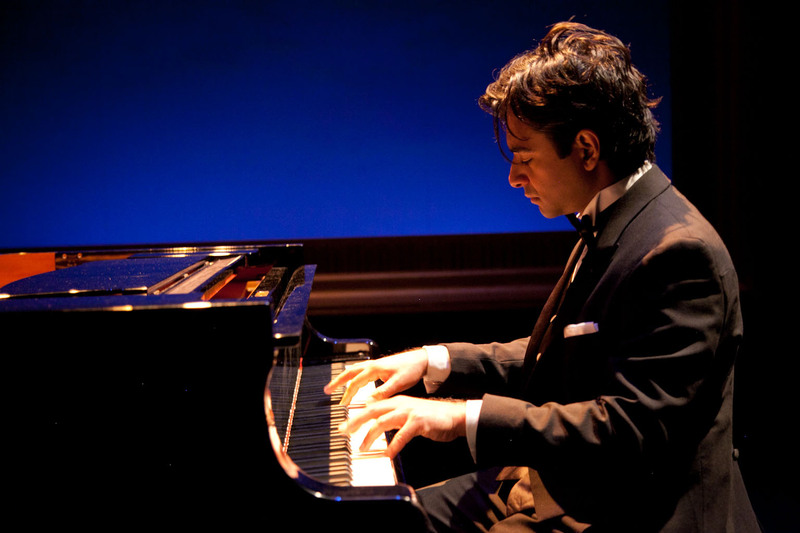 Reza Jacobs and Bryce Kulak performed with the same stunning precision as they played the piano. The message that art is barely a question of talent and more of grueling hard work was clearly illustrated. This play had had the living daylights rehearsed out of it and it showed. Whether or not this is your type of play, whether or not the story touches you or the jokes make you laugh, it is impossible to deny that this play is Good. For such a family-friendly, clean play, the theme and its resolution were surprisingly poignant. It presented two characters who had musical talent, yet not enough to aspire to be the best. And if you can’t be the best, what’s the point? It described grueling hours of work to perfect an obscure, primarily irrelevant skill. Artists in all categories struggle with the issue presented – sometimes having talent is worse than having no talent, as you risk winding up in a sort of limbo between success and failure. Without over-explaining or weighing itself down with self-indulgent philosophy, 2 Pianos 4 Hands made universal, relatable and profound observations. The set was brilliantly simple and versatile. 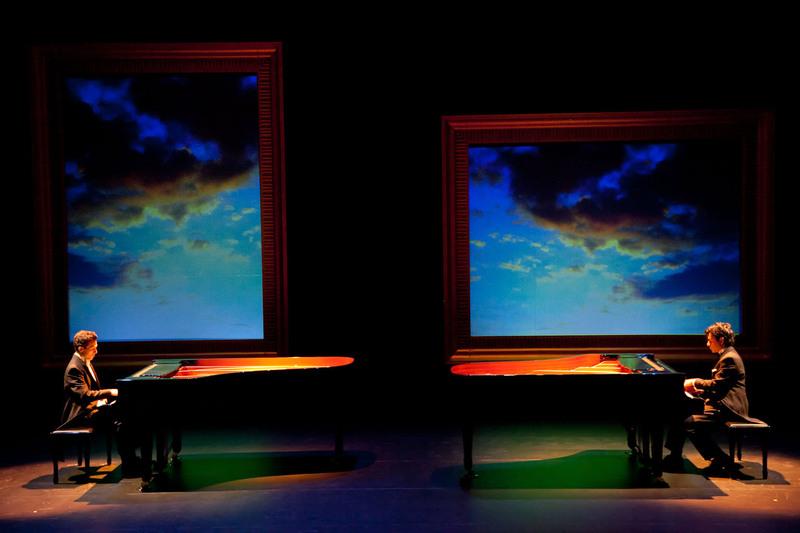 Two pianos faced each other, and behind them were two giant frames with screens inside. Sometimes the screens had colours on them, sometimes images or simple animations (flames at a moment of intensity). At one point the actors went behind them so that we could only see their silhouettes, and sometimes, as they played the piano, their shadows were projected perfectly in the middle of the frames. The shadows dramatized the image of the pianist recluse, hunched over his keyboard. 2 Pianos 4 Hands was a perfect ten. The standing ovation was absolutely merited. 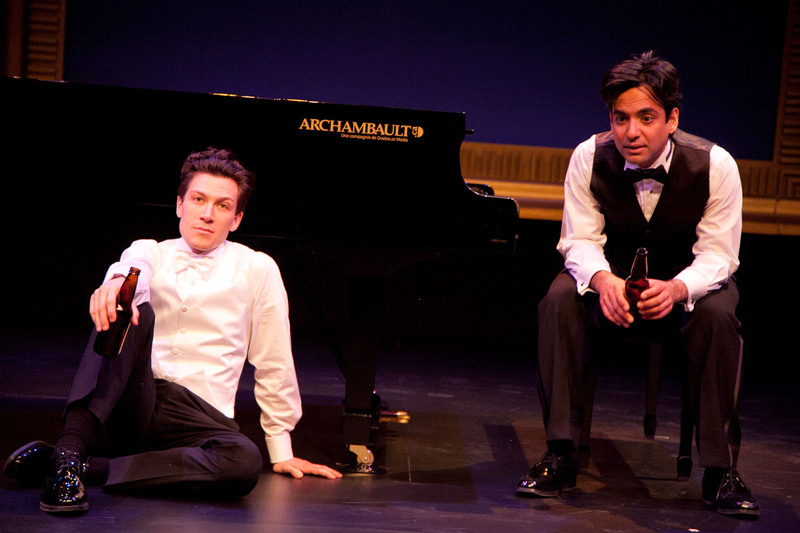 2 Pianos 4 Hands plays at the Centaur Theatre until May 25. $26-42.50.